Commute with Christ is a bible based blog specifically aimed at commuters who work in pressure charged environments and are in need of daily encouragement, reassurance and inspiration. Each week there will be a question that we seek to answer through scripture and personal experiences. On the train in the morning most people are looking on their phones for texts, emails and news. It’s business and we have to keep up. But there are messages from God. A daily reading can speak to us and guide us as Matthews verse suggests. It resets our thoughts and guards our actions. It gives us some space from the onslaught of emails. If we were honest, we sometimes sit there waiting for an email to appear! Use that time to read Gods word today. If you go on the app store and search ‘Daily Bible Devotion’ you’ll find a very simple one (icon of a fish) that sends you scripture and a thought on it twice a day. Alternatively, read the bible on your phone. There’s a message waiting there from God! Heavenly Father, guide us with your word. Intercept our work life with wisdom and set us on the right path for the day – Amen! ‘Set your minds on things that are above and not on things that are on earth’. As Lent begins many of us are frantically trying to find things to give up. The usual things – chocolate, online shopping, Netflix. Instead, perhaps it’s possible for us to give something up at work and focus on God. What would we give up to make us humble? What we give up to show more respect for a work colleague or have forgiveness for someone who offended us? What would we give up to show compassion for someone who is having a difficult time. Perhaps this would stay with us beyond the 40 days if we remain focused on Him. In Colossians 3:2, God tells us to focus on things that are above, meaning Him and His teaching. Let go. Give up the things at work that you know stop you from behaving in a Godly way. Gods creation is something else to focus on during Lent. He shows us some spectacular things! Cove Island Park. Stamford, Connecticut. 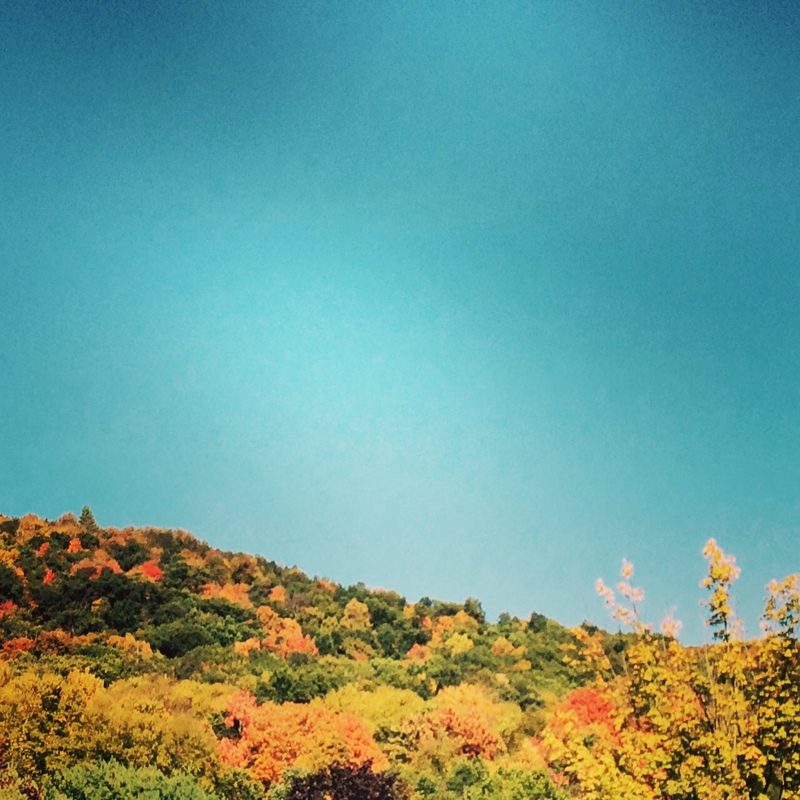 The Fall is a great reminder that God is close to us. As you stare out of your car window in traffic or the train window as you head into work, take a moment to give thanks to God and marvel at the color that he has created around us in New England. 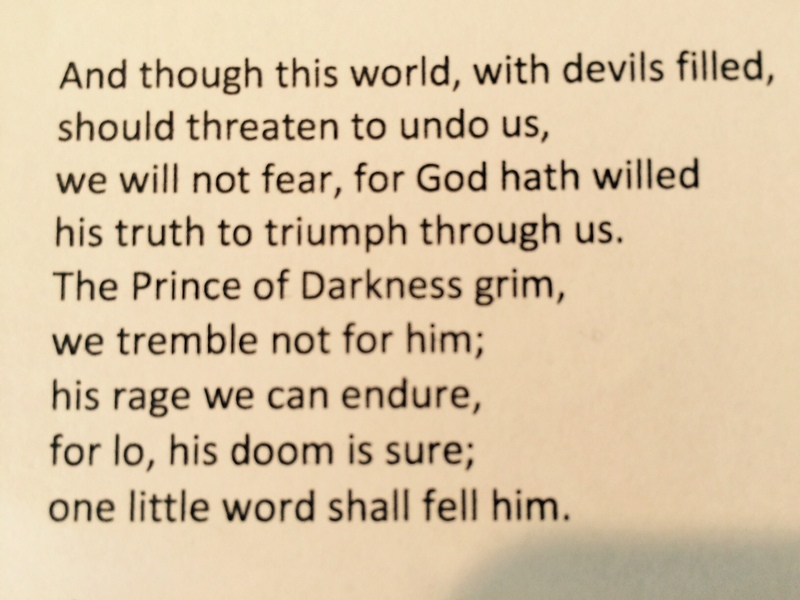 These are some words from a hymn we sang recently. They are strong and comforting words. And as we head into work today they may be of some help and comfort. I wonder what that ‘little word’ is in the last line? I might be missing something obvious. Is it the Word of God or perhaps it’s just the word of our savior. Jesus.